If you’re like us, one of the most nerve-wracking parts of any build is the first time you plug your battery into your quadcopter. Will it all work or it will it – literally – go up in smoke? 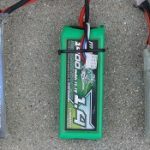 We’ve long been an advocate of devices the community calls “smoke stoppers”, which are inserted between your battery and your quadcopter and prevent most electrical shorts from destroying your delicate and expensive electronics. In this article, we’ll go into more detail on how these devices work, how you can build them and reinforce why they are so important. What is a Smoke Stopper? 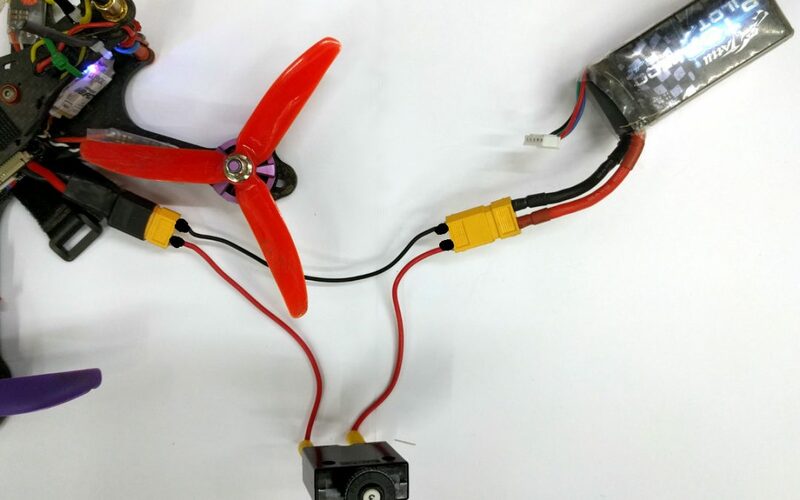 An ordinary miniquad, when plugged in to a 4S battery, will not draw more than 3 amps of power when it’s motors are not spinning. 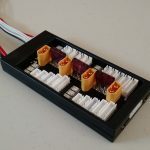 However, if there is an electrical short – which could be caused by anything from bad soldering to mis-wiring – much more than 3 amps will be pulled from the battery briefly, until the component that has the short overheats and emits the “magic smoke”. The fundamental purpose of a smoke stopper should be familiar to anyone who owns a home or car: it is basically a overload protection device – which we will shorten to “OPD” in this article. This type of circuit will deliver a certain number of amps according to it’s rating. If that amp number is exceeded, the smoke stopper “pops” and prevents further electrical current from being delivered to the faulty device. In most cases this will prevent the component that is shorted from overheating and will save your gear. Smoke stoppers have an added benefit for quadcopters: they can prevent you from chopping your fingers off when performing set-up with the props on. The reason is when a quadcopter is armed with the props on, it will pull several amps of electrical current and “pop” the smoke stopper, disabling the quad and saving your body parts. You should not rely on a smoke stopper for this, but it is a handy feature when setting up your gear. 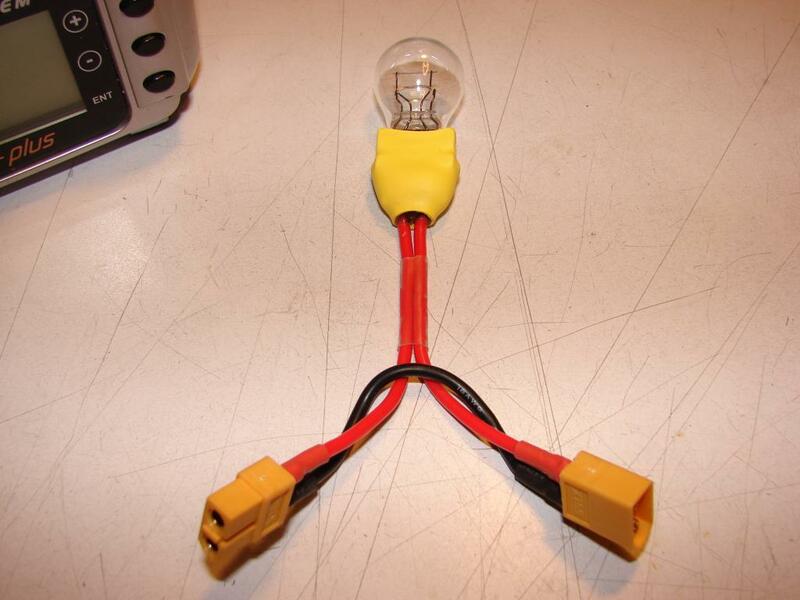 Believe it or not, a light bulb can be used as an effective current limiting device. 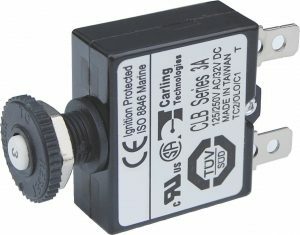 The way it works is if more than a set amount of current attempts to flow through the bulb, the light turns on and further current draw is restricted. 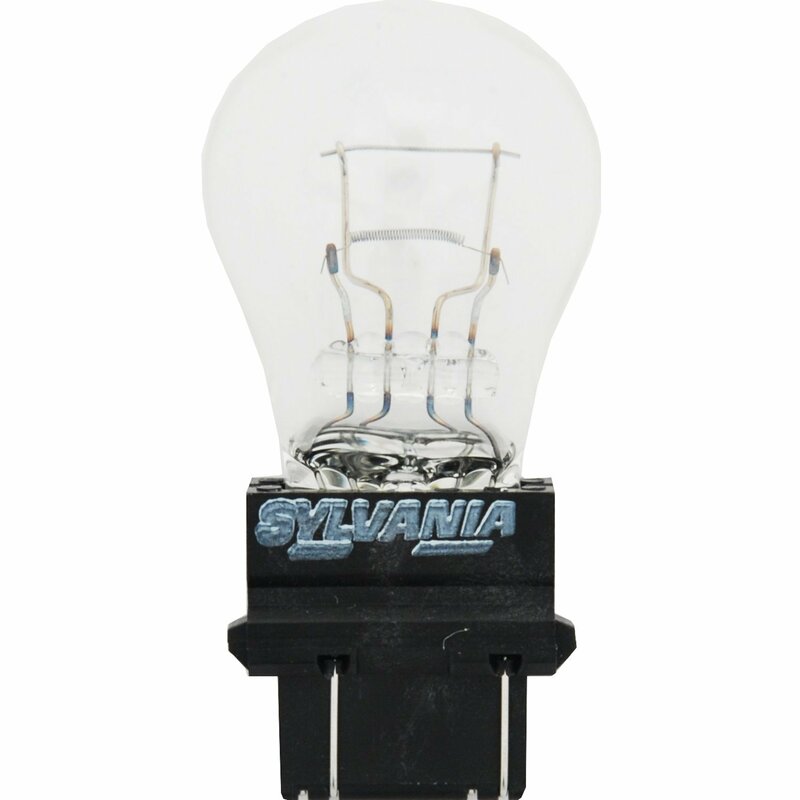 The maximum amount of current is determined by the light bulbs wattage rating divided by your battery voltage. Generally, small light bulbs used for automotive tail lights are used for this purpose to take advantage of their low power rating. 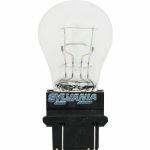 We recommend bulbs labeled any of these numbers: 1157, 3157, 4157, 3057, 4057, 3357. These can generally be purchased for a small fee at any local auto parts store. The problem with this type of smoke stopper is that it doesn’t totally stop the electrical power flow – it simply limits it. This means that in certain situations small circuits can get fried by the continuous power flow caused by mis-wiring your quadcopter which would otherwise have been saved by a different type of OPD. Another issue is that these bulbs can blow if you use 4S batteries to power them and definitely will not work with 6S batteries. Finally, this type of OPD is also the most difficult kind to make by a moderate amount – mostly because light bulbs aren’t really built to solder to directly. Fuses are devices that destroy themselves whenever a certain current level is experienced – presumably saving the electrical components downstream. You’ve probably replaced the plastic colored fuses in your car before, or have done the same for the cylindrical fuses often found in devices like microwaves. Both fuse types work well for the purposes of building a smoke stopper – but we prefer the automotive variety. This is because they are very cheap and “inline fuse holders” can be purchased at any auto parts store, which makes building your smoke stopper a breeze. The downside of fuses is that they must be replaced every time they “pop”. If you’re diligent in your builds and do your checks with your multimeter before plugging in – this should not be an issue, though. An upside of fuses is that they generally operate very quickly. They act like an electrical “weak link” in your circuit and will burn up very quickly in the case of a short-circuit. Thus, they have the best chance of protecting delicate electronics in these situations. Circuit breakers are devices that automatically switch off a circuit when an over-current situation is encountered. Unlike fuses, however – circuit breakers do not get permanently damaged. Instead they are more like switches that can be toggled back “on” so that electricity can flow again. There are many different types of circuit breakers but for the purposes of the “smoke stopper” you’ll want a marine or automotive “pushbutton” style breaker. When these breakers “pop”, the center section of the breaker shoots out from the body. The breaker is “reset” by pressing the center section back in, causing power to start flowing again. This type of OPD is my personal favorite to use for smoke stoppers. The reason is that it is re-useable, simple to diagnose and fully stops electrical current when a short exists. It’s also tolerant of most types of batteries and is easy to wire. The only downside is they are a bit harder to find in retail stores and are generally the most expensive type of OPD by a couple of dollars. One downside of circuit breakers is that they generally operate by detecting the build-up of heat generated by high electrical currents. The reason this is a problem is that it can take up to a second of current overage caused by a short circuit to “trip” the circuit breaker. For this reason, they may not be able to reliably save your flight controller or ESCs, but should be fine to protect your batteries or motors. Building a smoke stopper is incredibly easy. You might already have everything available at the bench except for the fuse. However, if you want to go with a prebuilt option, RaceDayQuads offers a great solution for around $10 + shipping. All OPDs except some circuit breakers are bi-directional. That is, they all have two terminals and it doesn’t matter which XT-60 connector plugs into which terminal. If you are using a circuit breaker, check the wiring diagram to be sure. Sometimes it will call for a “source” (or “line”) to go to one terminal and a “sink” (or “load”) to go to the other. The “source” is the battery, or female XT-60 connector (left side on the diagram above). Once you’ve wired your smoke stopper, we recommend you test it out. 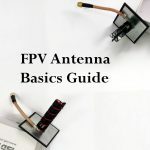 This is pretty easy – you can either intentionally cause a short by bringing the positive and negative leads on the male XT60 connector together or you can arm your quadcopter while plugged in with the smoke stopper and attempt to take off. Either way, the smoke stopper should prevent anything bad from happening. 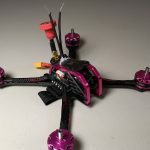 The primary purpose of a smoke-stopper is a last line of defense in protecting your electronics from mistakes made while changing the wiring of your quadcopter. Note that it is a last line of defense! After doing any kind of re-wiring or soldering, you should double check everything against the schematics. Look at your solder job and ensure that blobs don’t overlap with PCB parts. Make sure blobs of solder didn’t get knocked onto the FC. Use a multi-meter to check continuity across complex circuits and verify that your power leads are not shorted — we have a great article on using a multimeter here. Finally, once you are confident in your work, plug one end of the quadcopter into the smoke stopper and the other end into the battery. If nothing violent happens and the quadcopter boots up, you are good to go! I actually like using the smokestopper throughout the software set-up process: if the quadcopter accidentally arms in this process the smokestopper will prevent the quadcopter from pulling too much power and frying the motors.